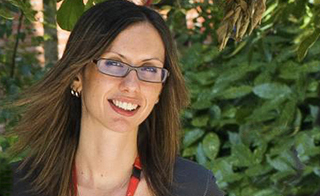 Congratulations to CDN alumnus Emilia Favuzzi for being awarded The Beddington Medal for the best PhD thesis in Developmental Biology, a BSDB's major commendation to promising researchers! During her PhD, Emilia discovered that the perineuronal net component Brevican is involved in the gating of parvalbumin interneurons by controlling their intrinsic properties as well as extrinsic input through excitatory synapses. She recently joined Gordon Fishell's laboratory at the Broad Institute and Harvard Medical School as a postdoctoral associate. Her PhD supervisor, Beatriz Rico said "The Beddington Medal is a very prestigious award in Developmental Biology that recognises the PhD work of promising young biologist. Emilia is a gift for a supervisor, her work and contributions to my lab have been outstanding and I am very proud and happy that she got this well-deserved prize."